We know a little more about the future of Apple connected watch . A patent on the iTime has been validated by the U.S. Patent Office. It reveals many details about the features and appearance of iWatch. 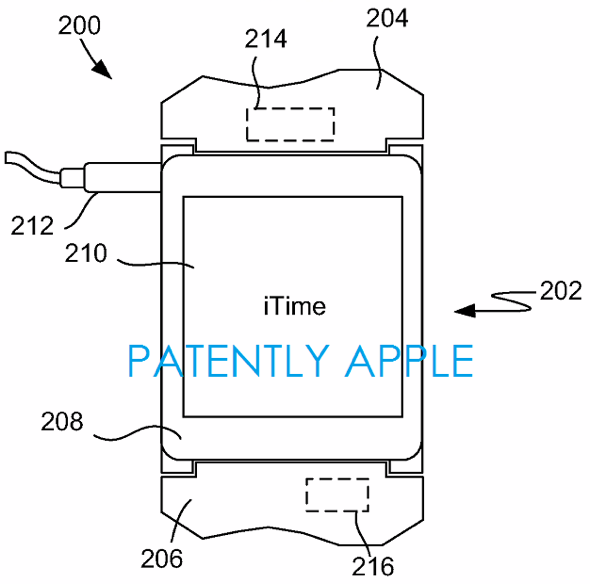 The U.S. Patent Office (USPTO) has validated 22 July a patent filed by Apple in 2011. This document relates to an "electronic device worn on the wrist," and more specifically "a wristwatch." Patent No. 8,787,006 B2 contains several diagrams of the object, as well as three pages of explanation. We learn first that the concept of Apple connected watch is called "iTime" not iWatch foreseen initially. What should cut threats of complaints from the watch manufacturer Swatch, which criticized the name of Apple's future product too close to its own range of connected watches, iSwatch. As for characteristics, iTime comprises, according to the patent, a touch screen and a bracelet. These two elements are separable: Apple says in the document that it might be possible to connect an iPod Nano to the bracelet. It is also a true marvel of technology, and incorporate more chips than the screen. Include a GPS jumble some unspecified biometric sensors, an NFC chip or an accelerometer. 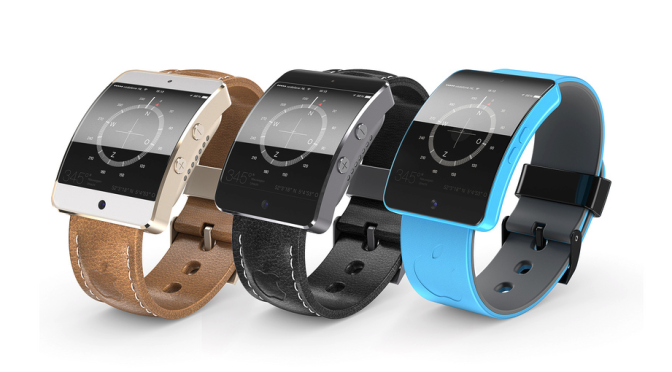 iTime comprises, according to the patent, a touch screen and a bracelet. These two elements are separable: Apple says in the document that it might be possible to connect an iPod Nano to the bracelet. It is also a true marvel of technology, and incorporate more chips than the screen. Include a GPS jumble some unspecified biometric sensors, an NFC chip or an accelerometer. The watch is designed to connect via Bluetooth to a mobile device. "The touch screen can be configured to present virtual information or to receive instructions from the user." Motion sensors, also referred to in this document suggest that the device would respond to gestural commands. Apple casts its mystery connected watch, to be unveiled in September. However, the discovery of this patent provides many details about what the finished product might look like. But many parts of the patent notes that significant improvements could be made to the device.